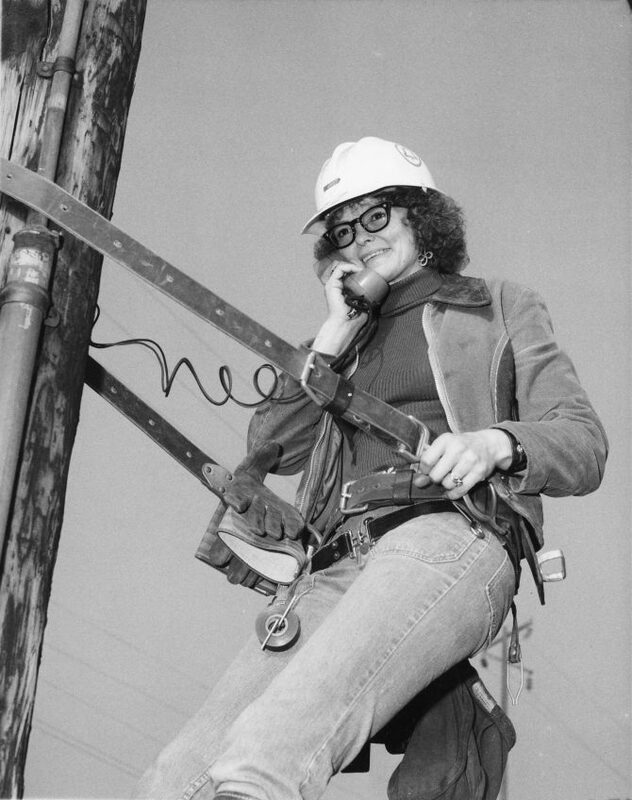 Judy Maida tests a phone line while securely strapped to a telephone pole by her lineman's belt in October of 1974. 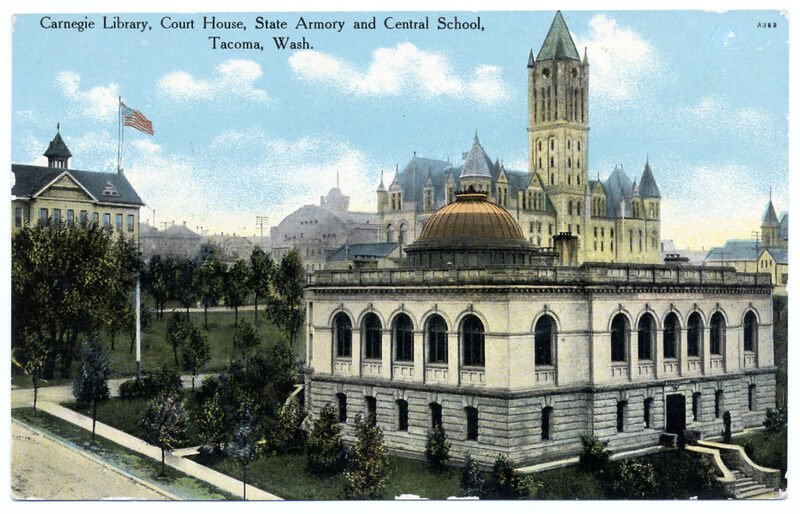 Ms. Maida was employed by Pacific Northwest Bell. By the 1970s, telephone companies were using women as linemen. Women were given the opportunity to move out of the business office to good paying outdoor jobs. Ms. Maida retired from Qwest in 1995.